Bayer Leverkusen's Leon Bailey reportedly has the opportunity to represent England. Bayer Leverkusen have said it is up to Leon Bailey whether to accept a possible offer to play for England as the 20-year-old reportedly could be eligible to be called up to the World Cup squad by the Three Lions. The Jamaica-born Bailey, 20, has been the Bundesliga's breakout star, scoring 11 goals and setting up a further five for Leverkusen in 23 competitive matches. Bailey has made one appearance for Jamaica in an under-23 international friendly three years ago, and as such would be free to represent England at this summer's World Cup in Russia should he be eligible. At the weekend, the Daily Mirror reported Bailey is not only wanted by English clubs but could also become a target for the FA as the World Cup nears because two of his grandparents hold British passports. 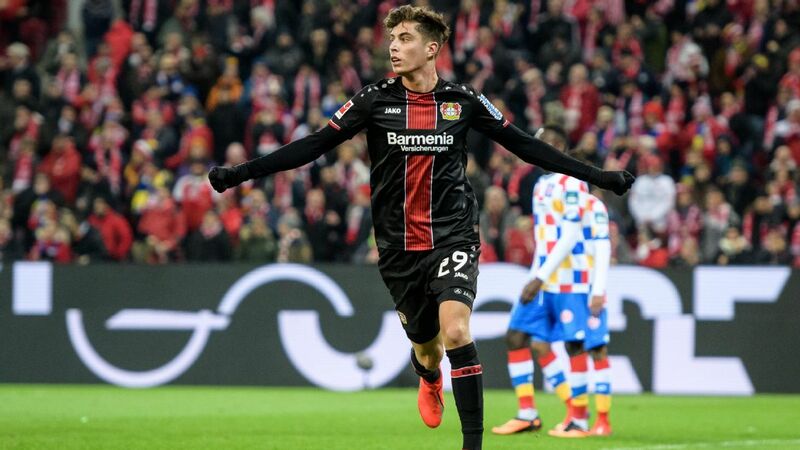 "It's his private decision for which association he opts," Leverkusen squad manager Jonas Boldt told Bild on Tuesday, and the club's sporting director Rudi Voller added: "Those decisions are often difficult for young players. They must feel well. As a club, we are totally relaxed." Leverkusen have insisted they don't want to allow Bailey, under contract until 2022, a transfer just 18 months after joining from Genk in January 2017. He has been linked with top Premier League clubs such as Chelsea, Liverpool and Manchester United and currently tops the prestigious kicker playing rankings ahead of Bayern Munich's Kingsley Coman and Schalke defender Naldo. Bailey has had a successful season for Leverkusen, scoring 11 goals in 23 appearances. After growing up in Cassava Piece, one of Kingston's most violent neighbourhoods, Bailey met Craig Butler, a co-founder of a local football academy. Butler later became his stepfather and agent, taking him to Europe in 2011. In late December, Bild reported that Germany coach Joachim Low was not interested in the Bailey for the Nationalmannschaft because of the quality and quantity of Germany's attacking players. Ex-Jamaica boss Winfried Schafer told the same outlet: "I wanted to turn him into a national team player, but the signals coming from his family clearly went into the other direction." In September 2017, Bailey told kicker that he's "focused on the club" and "there are reasons I don't play for Jamaica." A month later, Butler cast doubts on Bailey's career for Jamaica, telling Star Sports that Leverkusen were "advocating that Leon doesn't play for Jamaica" and suggested that personal issues between him and the JFF could also stand in the way of his stepson representing the Caribbean island.